Life in Zurich in the Springtime seems to center around the Lake. It's no secret that when I travel for business, I like to make time for something fun. No back and forth between office and hotel with nothing else for me! 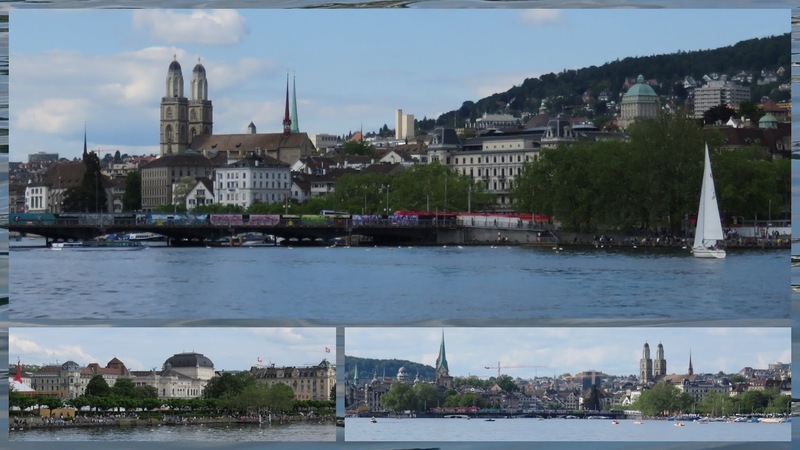 I arrived in Zurich early on a Sunday morning in late May. 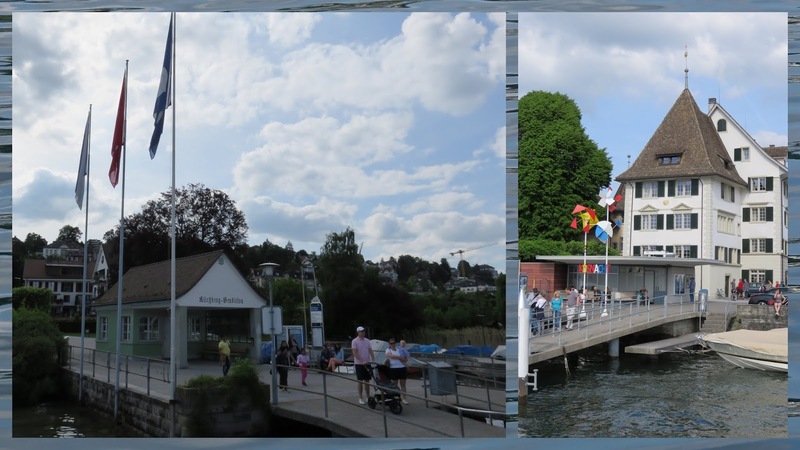 The sun was shining so I decided to take the most economical tour I could find, a small circuit around the Zurich See (Zurich Lake) on the public ferry. Here are ten highlights of the trip. 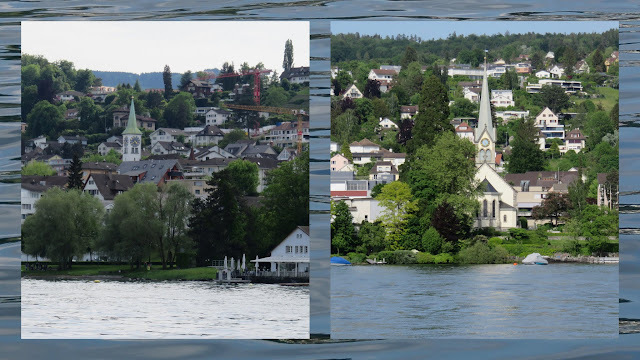 For just 8.60 CHF, I got a 90 minute cruise on the lake. This is certainly public transport at its best. The ride was comfortable and scenic. I could have taken a private cruise but why spend much more for essentially the same ride? The small circuit of the Zurich See featured some lovely views of the iconic spires over Zurich's old town. Gorgeous! It was a calm and sunny day and people were out in force in their sailboats. I enjoyed watching the vessels cut through the placid water of the crystal clear lake. 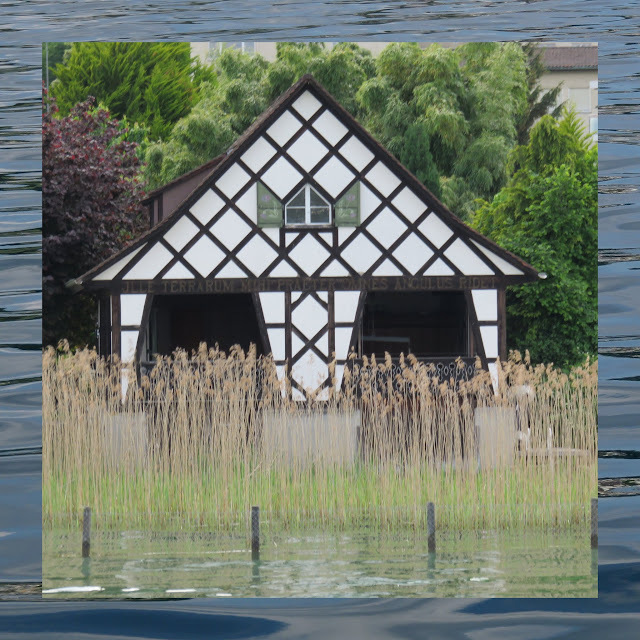 The houses all along the lake featured a different kind of garage. Instead of car parking, these often picturesque buildings were for boats. I particularly loved this half-timbered specimen. We made a number of stops along the way. Instead of waiting under a shelter for a bus, passengers walked out onto the pier to catch the public boat. Quaint church spires dotted the landscape throughout our tour and lent a tranquil atmosphere to the ride. 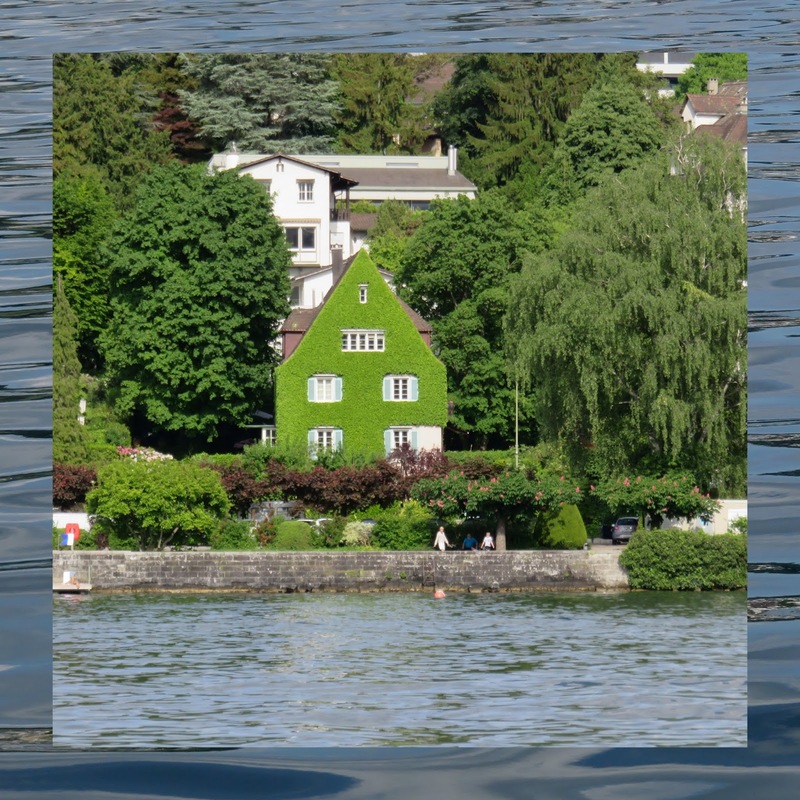 As you can imagine, many of the houses fronting Zurich See are quite posh. I particularly liked this one home with a well manicured garden that seemed to extend onto the facade of the house itself. When I visited, all the locals seemed to be gearing up for summer. 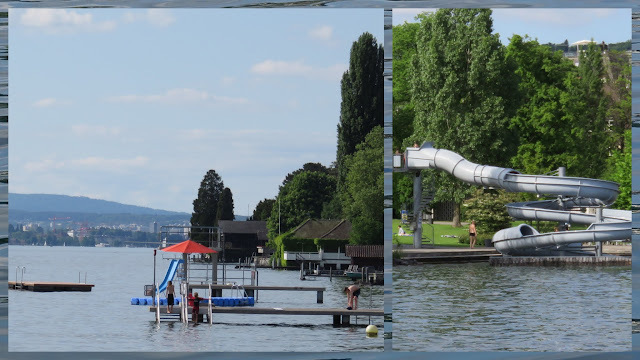 Zurich See seems to be fun for all ages with all kinds of fun slides depositing eager children into the water. 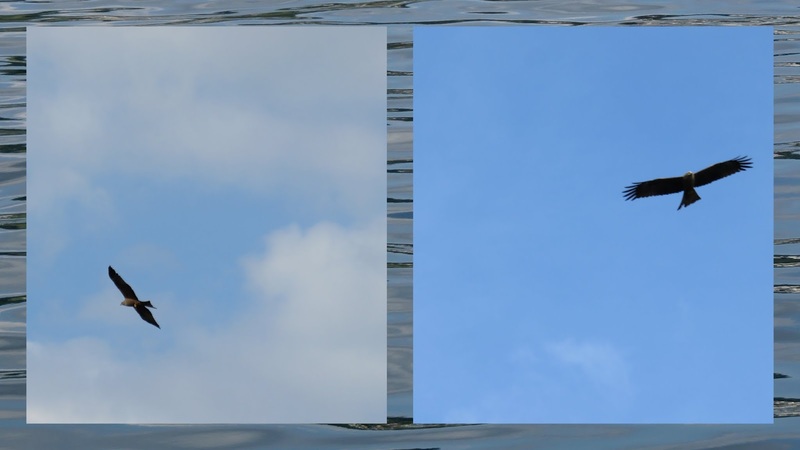 Looking up above, I spotted a number of birds of prey circling our boat. 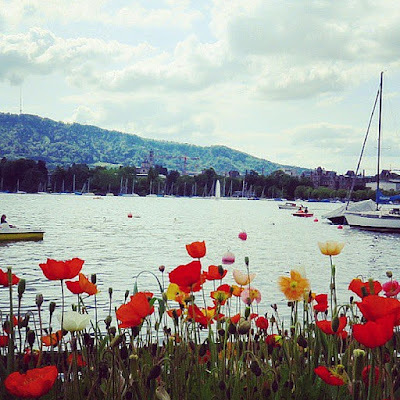 This reminded me that while Zurich See is indeed an area of exceptional natural beauty it is also great habitat for wildlife. 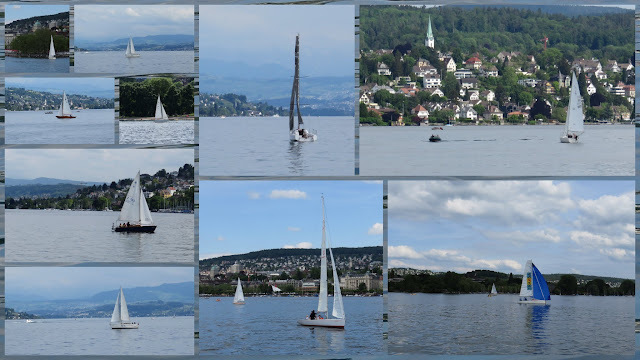 I must say that I prefer lake and river cruises to ocean sailing. 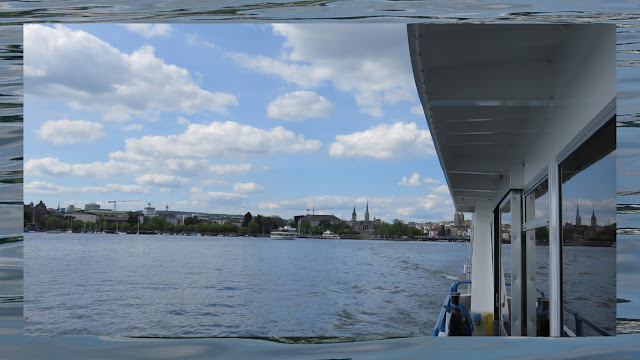 The water was extremely calm and thus no concerns about sea sickness. 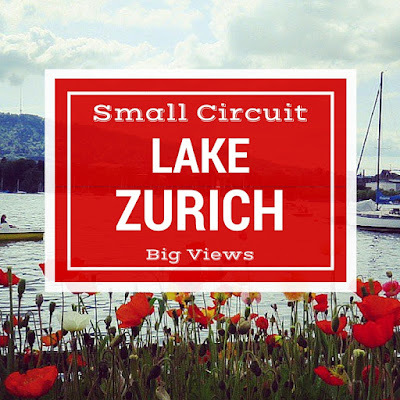 I really enjoyed my small circuit of Lake Zurich. When traveling for business, it definitely makes sense to watch out for opportunities like this to turn public transit into a fine tour of town. Don't forget to take time for yourself and a bit of bleisure while on the road. 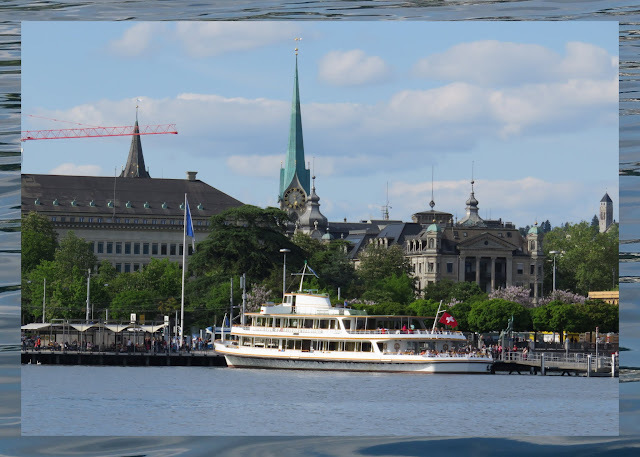 A photo tour of the lake in Zurich (Zurich See) by public transportation. Written by travel blogger, Jennifer (aka Dr. J) from Sidewalk Safari.